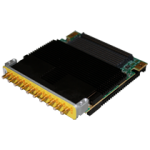 WILDSTAR™ Mezzanine Cards are designed from the ground up for superior density and analog performance. 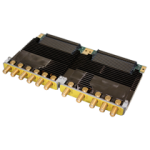 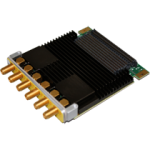 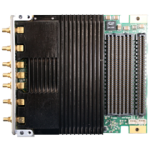 They include 16 high speed serial lanes and over 96 LVDS lines to accommodate even the most bandwidth hungry ADC or DACs. 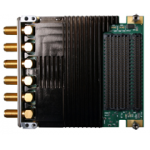 By providing far more voltages to the mezzanine card than competing form factors, noisy power supplies are eliminated from the noise-sensitive mezzanine card and moved to the baseboard, improving analog performance over competing options. 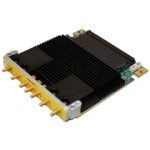 With a taller stacking height, cooling is also improved as a larger heatsink can be used and there is also more separation from digital signaling on the baseboard. 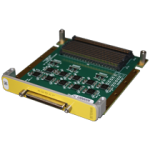 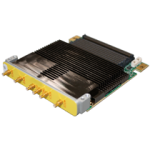 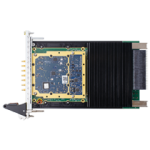 All WILDSTAR Mezzanine Cards have fully tested FPGA interfaces to provide reliable data transfer between the two even at the highest sample rates and are qualified on Annapolis baseboards for reliable system integration. 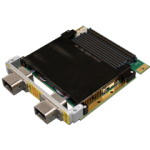 The WILDSTAR Mezzanine Card specification is open and customers can design their own proprietary cards if needed.